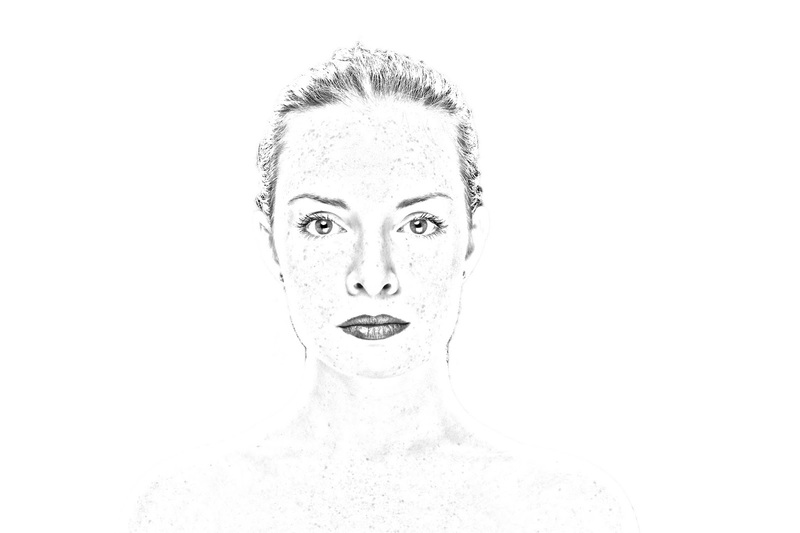 Pixelmator has a filter for turning photos into drawings, but the results are not always what you want. There is a simple technique you can use to achieve more pleasing results, with only a little more effort. Here is a step-by-step description of how I created the picture above. Start by opening a good photo in Pixelmator. Your subject should be well lit, and the background as simple as possible. I used a photo of My Hesser, from a studio photo session awhile ago. Duplicate the photo layer. This way, you can easily go back to the original if you need to. Turn off the original layer, so it won't show. Select the parts of the photo you want to turn into a drawing. It is usually a good idea to use Edit->Refine Selection... to fine tune the selection. Invert the selection, so that the parts you want to use are protected from editing. Use the Eraser tool to erase everything that is not protected. This will leave you with a transparent background. Desaturate the photo. Pixelmator has a filter for this. Duplicate the layer with the desaturated photo. Invert the layer you just created. Yep, there is a filter for this too. Change the blend mode of the inverted layer to Color Dodge. The photo should go white. Don't worry, we'll bring the picture back in a moment. Use the Gaussian Blur filter on the inverted layer. The radius should be about 45 pixels. Now you should see the picture, looking like a drawing. Group the two top layers. Duplicate the group. This is just so you can go back to an earlier stage if necessary. Apply a Level filter to get look you want.